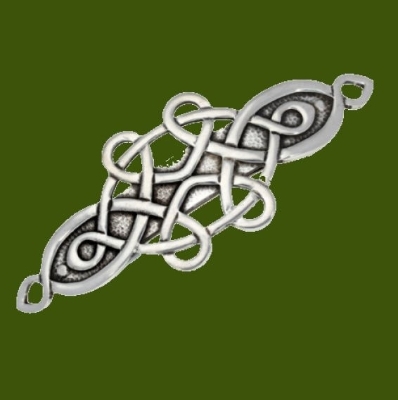 This Mother And Child Celtic Knotwork Hair Slide is expertly crafted with beautiful Stylish Pewter. 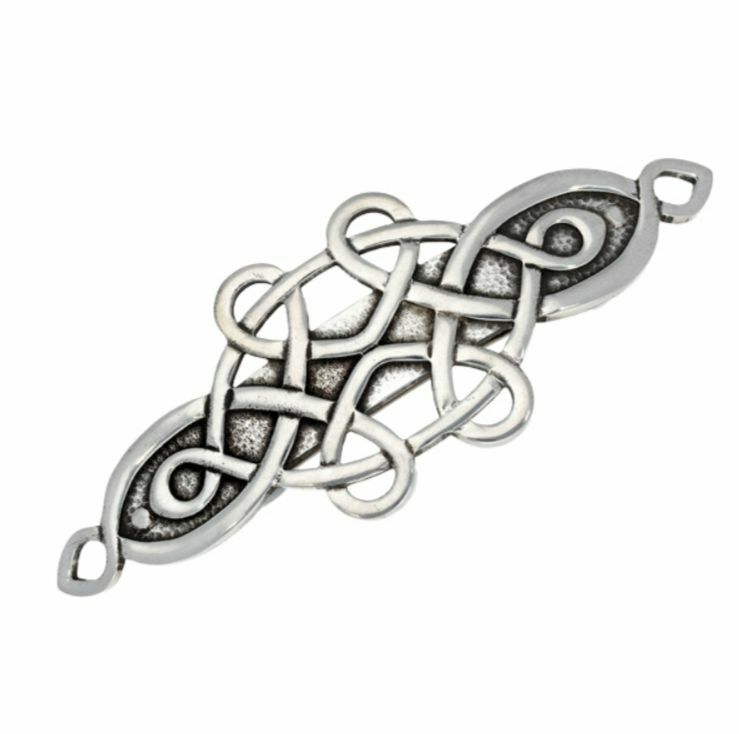 An oblong knotwork design hairslide with a rhodium-plated stainless steel sprung clasp. The clip on the back grips the hair tightly to prevent the hairslide from slipping out. This hair slide measures approximately 93.00mm (3.66 inches) x 36.00mm (1.41 inches). The hair slide pin measures 2.75 inches (70.00mm) in length. Supplied in a velvet draw-string pouch. This handcrafted Hair Slide will become family treasures that will last through the ages! This beautiful Hair Slide is a perfect gift for any occasion. Wearing this beauty in your hair will provide you endless pleasure.